Joe was most recently seen playing Ozzie a ships stoker in ‘The Maurie’ a site specific play set aboard the famous steam liner the Mauretania. 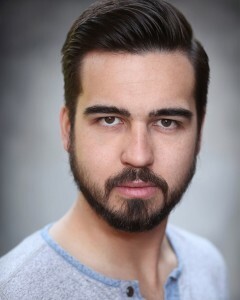 Other theatre credits include: Vinnie in ‘Waiting for Brando’ (National Tour); Minstrel/Various in ‘Twisted Christmas’ (Liverpool Playhouse Studio); Chris Kent in ‘Ten Tiny Toes’ and Bobby in ‘The Way Home’ (Both at Liverpool Everyman theatre); Delroy in ‘Slow Time’ (20 Stories High); Banquo in ‘Macbeth’ (Unity Theatre); Gregor in ‘Wrong Place Right Time’ (Contact Theatre); Gozzo in ‘Forgive Them’ (Hampstead Theatre); Nathan in ‘Family Business’ and Josh in ‘Turning Points’ (M6 Theatre Company) and Sean in ‘Hatch’ for which he won favourite actor at Manchester 24/7 Festival. 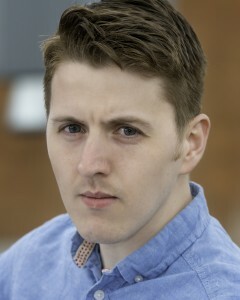 Lucas enjoys a variety of acting work across the country, but feels very much at home in the North West. He is making his debut at the Liverpool Playhouse. Previous theatre work includes: DOCTOR FAUSTUS (Royal Exchange Theatre, Manchester); LAST TRAIN TO TOMORROW, A MIDSUMMER NIGHT’S DREAM (The Hallé, Manchester); THE BOMBMAKER, ICARUS (The Lowry, Salford Quays), MEASURE FOR MEASURE, ICARUS (Edinburgh Fringe); BEAUTY & THE BEAST, THE SCHOOLMISTRESS (Stephen Joseph Theatre, Scarborough). Television includes: FRESH MEAT (Channel 4 / E4). Film includes: 27 MEMORY LANE (Lupton Films). Radio includes: ADVENTURES OF THE SOUL, BRIEF LIVES, THE SMALL HOUSE AT ALLINGTON (BBC Radio Drama). 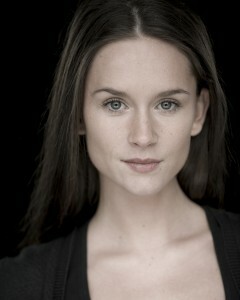 Nina Yndis is a billingual actress who trained at the Royal Conservatoire of Scoltand. Her latest stage credits include Lily Byrne in A Man of No Importance, Vivienne in Legally Blonde and Mrs. Roach in Betty Blue Eyes. Working professionally in Norwegian film and TV industry Nina Yndis was seen in the Norwegian feature film Glassdukkene directed by Nils Gaup. Earlier credits are the TV series Spesialenheten directed by Trond Berg-Nilssen. She´s also been in various independent films one of them being the feature Wasteland 26 by Breaking Point Flix. She also recently shot the short Tell Us Who To Hate at the National Television and Film School. Other credits include Hedda Gabler in an Ibsen competition at the National Theatre in Oslo, The Last Days of Judas Iscariot, Julie in Miss Julie, Teresa in Om Du Kunne at Oslo Nye Theatre.